For many Americans, gratin is synonymous with a beautifully browned dish containing some combinations of potatoes and chicken baked with cheese and cream until a nice golden crust is formed on top. While that definition is inarguably true, in everyday French cooking, the grain encompasses a wide range of ingredients, from fruit to fish to vegetables, and may be savory or sweet. 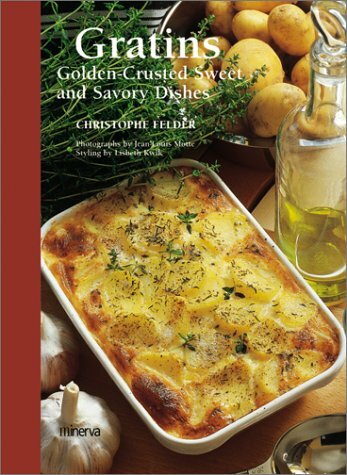 In this beautifully designed volume, the pastry chef at the Michelin-starred Les Ambassadeurs shares 68 easy-to-prepare gratin recipes, from appetizers to desserts. Some, sophisticated and special, some everyday. All are quick to prepare. Recipes include a French Shepherd's Pie, Gratin of garden Vegetables, and Raspberry-Passion Fruit gratin in Puff Pastry.